"Remember my friend, future events such as these, will affect you, in the future." Colorado raises $150 million from marijuana. Will more states legalize? Wanted to get this out before I take off for the weekend. Sources and show notes will be up later. I will be attempting to do one of these every week. News and analysis on stuff you won't see on TV. Hope you enjoy. The B.S. File #1 - What in the World is Going on in Syria? I take a look at some of the currents moving in Syria as the Kurds beat back ISIS, Turkey starts bombing, the U.S. closes a deal with the devil, and the "Long War" continues. Three unidentified officers have filed a lawsuit to block the use of the pot shop bust videos, which show officers eating marijuana and joking about beating a handicap woman, from being used by Internal Affairs, who are investigating the incident. The attorney for the cops claims that the videos have been edited by the pot shop owners intentionally and "misrepresented what happened." * Police in Bal Harbour, Florida teamed up with the Glades County Sheriff Department, to create the Tri-County Task Force (TCTF) that would run an operation to sting some of the biggest drug cartels and criminal organizations in the country. * Agents of the 12-member TCTF used fake identities to pose as money launderers for drug cartels and other criminal organizations. * Over a three year period from 2009 to 2012, the TCTF laundered at least $56 million for cartels and crime syndicates. There are indications however that the amount may be even higher?perhaps $83 million?due to the fact that the task force "fell into the habit" of not keeping any records. * TCTF agents would fly all over the United States, sometimes as far away as Arizona, California, and New York to pick up cash to be laundered. The jet-setting agents sometimes made two deals per day. They traveled first-class on flights, and racked up tens-of-thousands of dollars at hotels like the Bellagio in Las Vegas, and fancy restaurants like the Chop House in Chicago. * Deals were sometimes done with agents of DHS and the DEA, despite the dubious legality of the operation. * For each money laundering deal the task force collected a 3% commission, amounting to at least $1.7 million, which would be held as evidence in the sting. * The dirty money would be counted, documented and then deposited at the nearby SunTrust Bank, where TCTF agents created secret accounts under dummy companies to launder the money. * Instructions would be given to the undercover agents when they picked up the money on which businesses to wire the money to after it was washed. Many of these fronts are still operating to this day. * Instead of paying for the operation from the local police budget, agents used the dirty drug money as they purchased hundreds of thousands of dollars worth of weapons and equipment, and paid for hotels, flights, food, and rental cars. A court ordered approval, which was required to use the drug cash since it was actually the EVIDENCE of these operations, was never granted. * Officers then began withdrawing large amounts of cash directly from the secret bank accounts. On 12 confirmed occasions, at least $547,000, and possibly well over $800,000 was withdrawn with out any documentation by the officers of where the money went. It simply vanished. * Even more troubling is that for months at a time, deals were being done and huge sums of money were being deposited without any paperwork at all. Dozens of cases never reported or tracked are now being uncovered which are estimated to have involved over $28 million. * The TCTF was rushing to do so many deals, that it deputized two retired cops living in New York to bring in additional cartel funds from the north. * In early 2010, the task force began laundering millions overseas at banks in Panama and China. Apparently the DEA had "no idea." The Miami Herald turned up 138 overseas transfers worth $7 million. * The task force caught heat in 2012 from the Department of Justice, with the Office of the Inspector General issuing a scathing report. Despite the OIG acknowledging that millions flowing into the TCTF accounts were not being accounted for, they never did their own audit. * In 2013, the FBI probed the TCTF money laundering operation, but decided that the case did "not appear to be a violation within the FBI?s jurisdiction." * Despite doing over 225 money-laundering deals in a three year period, the TCTF never made a single arrest. Police Chief Tom Hunker, who created the task force, claims that information was passed on to DEA agents that led to the arrest of 200 criminals. The DEA could not confirm that figure. What a sordid tale. This former dispenser of justice, who fueled his cocaine addiction by STEALING evidence submitted to his court, is going to prison. Finally some Justice! In Washington state possession of cocaine would be a Class C felony, with up to 5 years in jail. Guess how much time the Judge is getting? 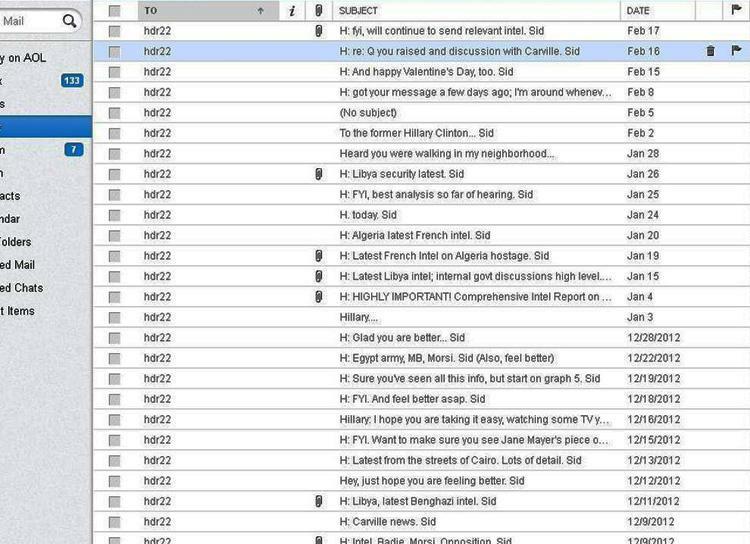 Wikileaks releases searchable database of over 1 million emails from HT. Can RCS software plant evidence on a targeted computer to frame them? So now there should be a freshly planted file on the targets computer named, using HT's own example, bomb_blueprints.pdf, just ready and waiting for the Fed's to find. But its lacking any content, its simply an empty container file. info[:data][:program] = process_name.force_encoding('US-ASCII') unless process_name.nil? info[:data][:path] = file.utf16le_to_utf8 unless file.nil? Some of the so-called leaked "cyber weapons" are already being used out in the wild...hmmm.